NEED: Countless children are wandering the treacherous streets of Santiago day and night. God continues to perform miracles on their behalf through Santiago Children’s Ministries Outreach Center. Teams are needed to help complete the construction of this much needed facility. 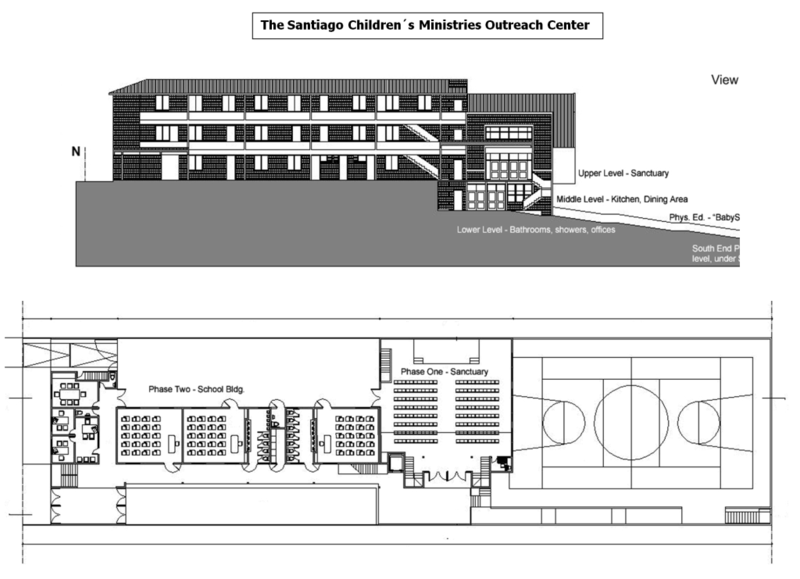 DESCRIPTION: Santiago Children’s Ministries Outreach Center began as a ministry to children on the streets. It has grown into a church, now ministering to entire families. This project includes a church school, athletic area, and offices. BENEFITS: Children will continue to be ministered to following the horrors of prostitution, poverty, and homelessness. Rescued from the dark streets, these at-risk children in Chile will be raised up to become the future Christian leaders of Santiago. This terrific team of pastors and members from four Virginia churches recently returned from working with Jim Mazurek in Chile! 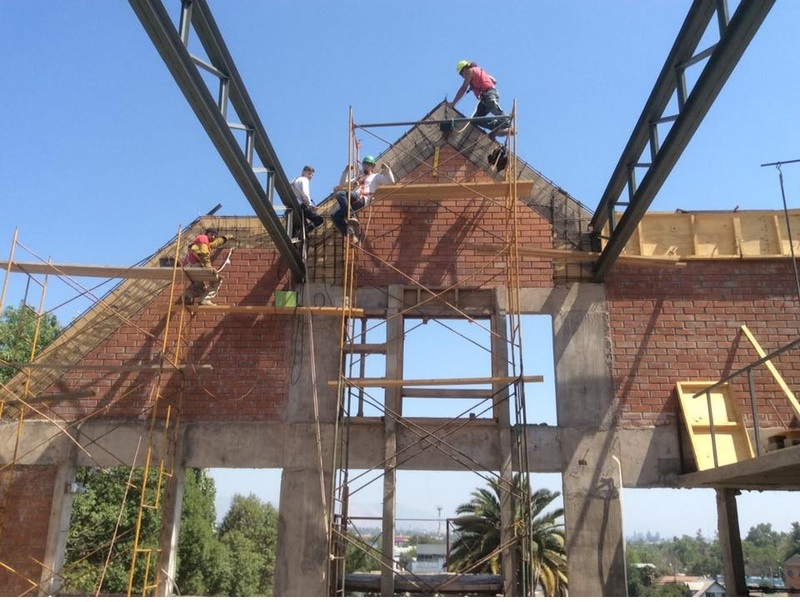 Thank you for your dedication to serving the Santiago, Chile community! Praise God, we held our first service in the new church sanctuary for our Children's Outreach Center. There still is MUCH to do - surfacing the floor, windows, doors, etc, but meeting in there just motivates us to finish the work as soon as possible. Thanks again to all those who have helped us come this far. We are getting close to finishing the upper bond beam on our sanctuary. After that comes the roof! We need construction teams for 2017, 2018. 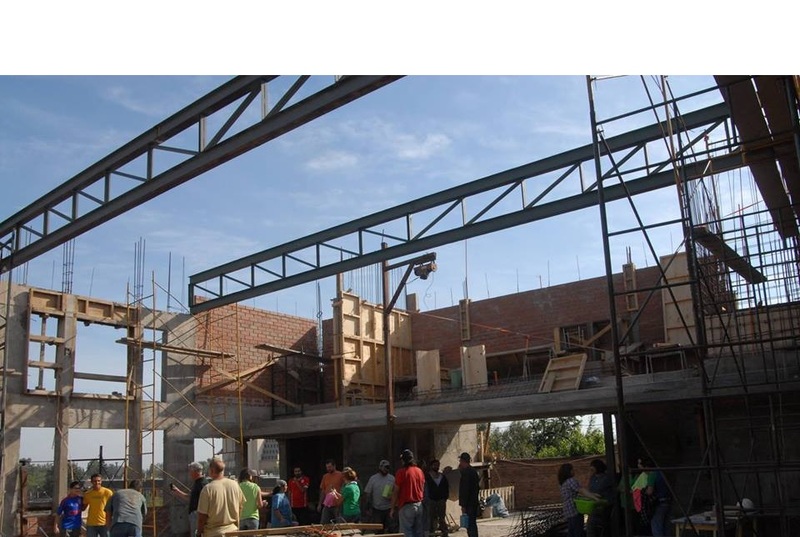 Please come and help us finish this building and move on the Phase Two - the elementary school. Ever wondered how joining a MAPS Construction team will impact the lives you serve and your own live? Watch this video! Helping complete this project will allow you to make a huge impact on an enormous amount of people! Update from Jim Mazurek from Sept. 23rd. We are having a tremendous time with a team of great friends from Del Norte, Ft Collins and Greeley, CO, making amazing progress on the Children's Outreach Center. Thank you Colorado!! 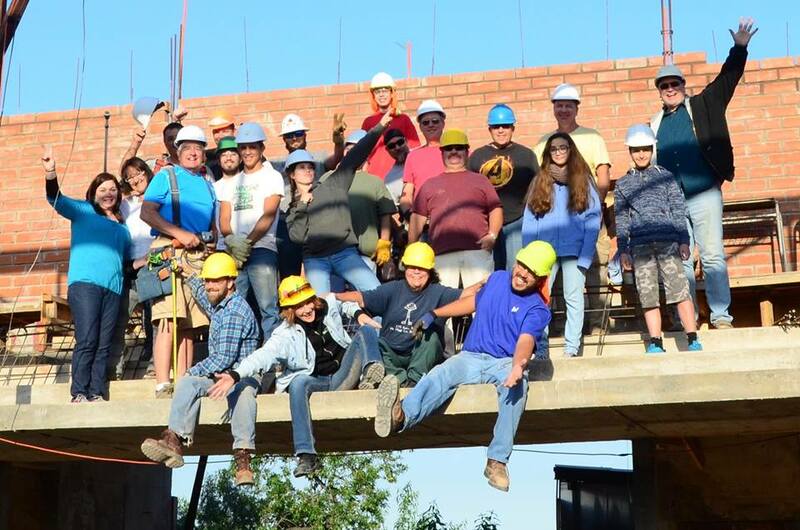 Estamos en un tiempo tremendo con un grupo de grandes amigos de Del Norte, Ft Collins y Greeley, Colorado, logrando grandes avances en la construccion del centro de ministerios infantiles. Gracias Colorado! The work that will be needed next is on the inside including bathroom tile, fixtures, kitchen tile, fixtures, electrical, painting, drywall, plumbing, windows and doors. If you have expertise in any of these areas please contact us and we will help you get your team there. 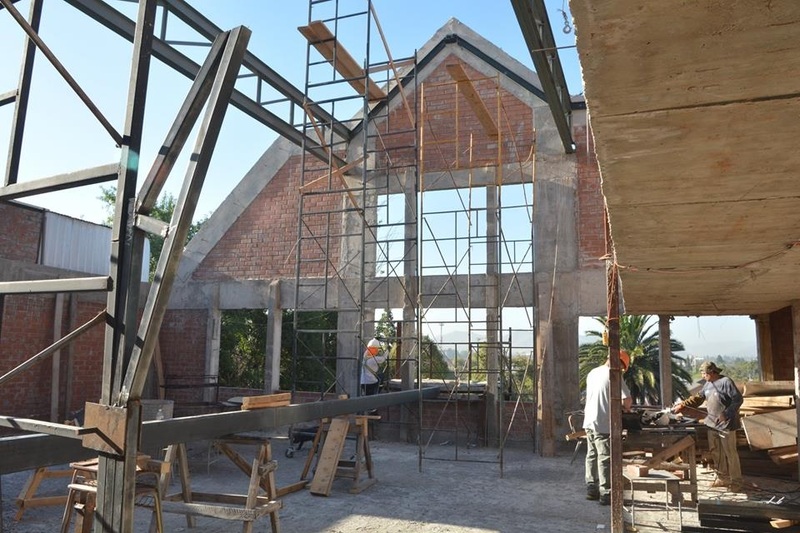 Summer, 2016 - With the help of several teams sent by Builders International we have completed the form building, rebar installation and concrete pours for the sanctuary balcony and matching stairwells that take you up there. The job came out beautifully. Now we are moving up with the remaining walls and getting closer to setting up the roofing structure. We are now on the top level of our three-story, first phase. Much is left to be done handcrafting the rebar and forms for two concrete stairwells leading up to the future balcony. Pray with us that we can complete that work before year's end. All we ask is for modesty. Do note that no plants, seeds, fruit, nuts etc may be brought in. 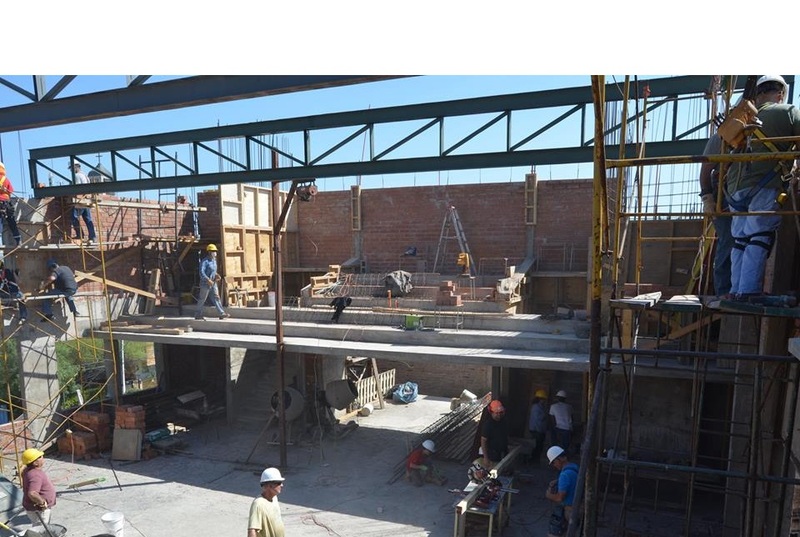 We are 80% along in our first phase - a three story building comprising locker rooms, offices, kitchen and dining facility, sanctuary with balcony. Trip to Valparaiso and Viña del Mar, port twin cities. $30 per person. We welcome team members to assist us in our ministry to inner city children. Music, drama, magic, crafts, - all is welcome. eye protection ear protection knee pads, gloves, safety glasses, sun block, jeans are fine. Work boots required. We have hard hats on site. Each team member should bring a set of personal tools: trowels, strikers, METRIC tape measures, string, line level, torpedo level, pliers, hammer, etc. Do bring: Cordless drill, corded drill. We have on site: cement mixer, welder, table saw, chop saw for brick, miter saw for wood, scaffolding, wheelbarrows, transit, air compressor, small air hammer, drills, Skil worm screw circular saw. We are building a set of Craftsman 19.2 volt tools. Anything in that series is welcome. Tapes, trowels, strikers, etc are also needed.